Some more PC gaming news for you today and still sticking with the retro theme, is Hijong Park's side scrolling shooter ' Tujate ', which again is available free to play for the PC. Developed using Game Maker Studio, Tujate is inspired by those great classic games defender, choplifter, and cybernoid, and puts you in control of the ultimate fighter destroying enemy targets, waves of enemies and above all saving citizens from the Aliens ' Yadcian '. 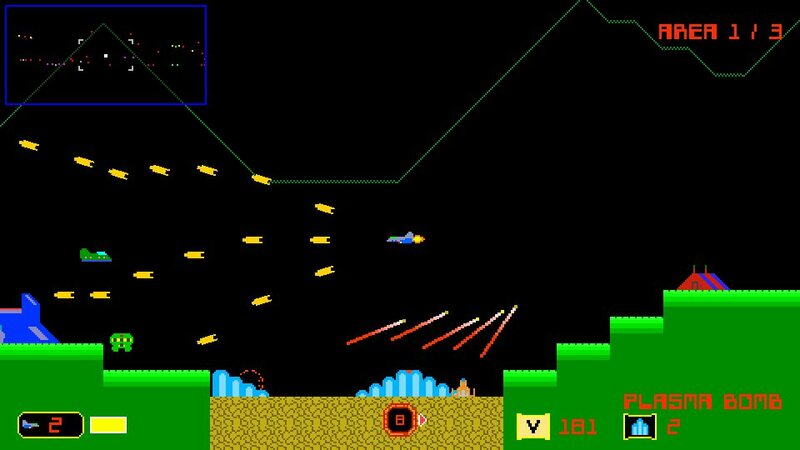 If you loved playing Defender or Choplifter such as I did when I was but a youngster, you will seriously like this game. It has all the best bits of those games but features so much more, such as big explosions, different weaponry, cool chippy sounds, water skimming effects, well designed levels and lots of action that will keep you occupied for ages. So download it today, it's FREE!